I am sure you saw this guest post yesterday about How to create a Spring Vignette with layers of glass? Such an elegant but homey style. Recycled glass can take on so many different styles however. 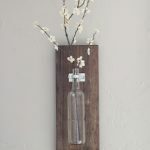 A while back, I posted these lovely DIY walnut-stained wooden sconces with bottle glass, as vases or candle holders. Remember these? These beautiful home décor items were designed by Shanty to Chic. I loved their simplicity and simple elegance. This is a beautiful bottle vase centerpiece that you could make entirely with recycled materials. What’s not to love about this?! Its brilliant. 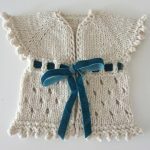 Would also make a great housewarming gift, as well as a perfect candle holder for outdoor garden entertainment in summer. 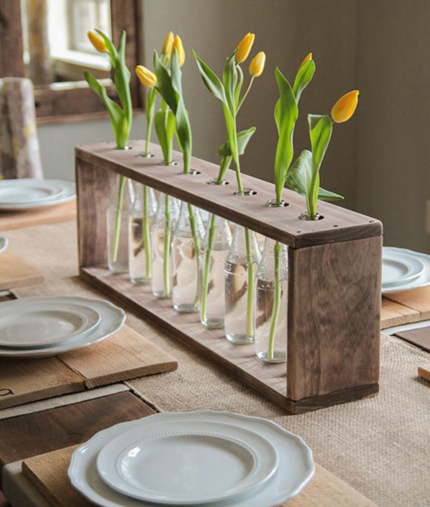 Note: If I’d have a big drill, I would make this DIY Bottle Vase Centerpiece ‘as is’. But since I don’t, I would redesign a tat and use 2 smaller pieces of wood to go along either side of the bottle tops, instead of the 1 piece with the holes drilled in. But, let’s assume that you do have a drill (or at least know someone who has). 1. Measure the height of the bottle ( A ). Measure the thickness of the wood you are planning to use ( B ) and cut 2 pieces of size A-B for the sides of the vase. 3. You’ll need 2 long piece of wood the size of (2xB) + ( C * D ) . In one of them drill holes slightly wider than the top of your bottles at even intervals. Measure this properly and mark the points with a pencil before you get your drill out. Tip 1: test after the first hole if the bottle neck could go easily in and out. You’ll need to be able to tip the bottles to take them out for filling with water and cleaning etc. Tip 2: If you have an uneven number of recycled bottles you wish to include, you should start in the middle. 4. You’ll need 8 nails to nail the 4 pieces of wood together. 5. Sand and stain or paint the wood to your heart’s content. 6. Stick the vases. Fill them with water and walk in the garden to add some green and or flowers. Instant summer centerpiece. If you have the wood already, that’ll be 99% recycled. I am used to use fresh nails, you see, otherwise it would be 100.
to talk to the maker of it, for all the ins and outs of how she made this gorgeous recycled soda bottle vase. It will probably shed more light on things. Drilling down to … what’s the best drill? If your household like mine has no drill yet, you might like to get this (‘Fathers Day’ gift for your hubby, ahum) so that in future you/he could easily drill the holes. Here’s the top quality drill that everyone loves: It’s a DEWALT DC720KA Cordless 18-Volt Compact Drill/Driver . At the moment of me writing this, Amazon gives you $20 off for Dewalt products over $100,and this drill is already 50% off, costing you about $170 instead of the RRP which is double that. So you get it for about 40-45%, which is steal. Here’s a lower cost drill that Shanty-to-Chic recommends, which also gets really good reviews, albeit not as many as the Dewalt drill: Ryobi 18-Volt ONE+ Lithium-ion Drill Kit . 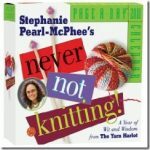 This one usually retails for about $160 and is currently 31% off, or priced at $110. PS 2. Did you see these plank – placemats in the photo. Awesome, hey!? ?